What lettuce comes to your mind, when I say the word lettuce? Go on, take a minute. If you thought Iceberg lettuce, you aren’t alone. Iceberg is (or used to be) the defacto standard when it comes lettuce. Iceberg lettuce has its crunch but if you look beyond the crunch, nutrient values that is, you will realize that there are several varieties of lettuce that will win hands down. Romaine Lettuce is such a kind. It is also popularly known is Cos lettuce due to its origin in an Island called “Cos” . You call it Romaine or Cos, this lettuce is one of the best when it comes to nutrition and ease of growing. Lettuce is a cold weather crop. In India, we have two seasons, Summer and Hot Summer. Considering this, many of us don’t even try to grow any cold weather crop. Of all the lettuce I have tried, Romaine lettuce handles summer very well. Without further ado, I will get into the act of growing from start to end. It all starts from the seeds. Invest in good quality of seeds, you will thank me later. There is one thing you need to pay attention when you sow lettuce seeds. They seeds need to be fresh and with in the expiry period. Older seeds will not germinate. Get your seeds from a good seed company. Take some moist seed starting medium (a fancy name for plain cocopeat;). It shouldn’t be soggy wet. Squeeze the medium well for all the water in it to pour out. A moist medium is one where water drips when it is tightly squeezed. You can also use moisture meters to determine the percentage of water content. I don’t have one.. so this is how it is. Dont bury the seeds too deep. 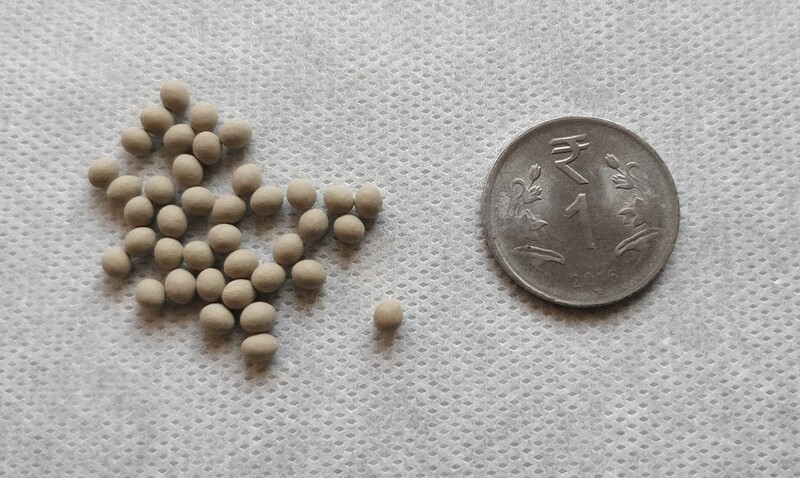 Correct sowing techniques ensure 100% germination rate. Lettuce seeds needs light to germinate. What I do is, I create a small depression on the potting media surface and press the lettuce seed in. Gently, partly cover the seed with sowing media to keep the seed intact. I have a habit of covering the tray or the flatwith the polythene sheet to keep the moisture intact and it has always paid off well. While I have always used cocopeat for seed starting, this time around I tried something different. I got this foam sheets for seed starting and they best part is they came with pre-drilled holes. That was awesome.. I don’t have to make holes . Now i have few more minutes to waste on Instagram :)). If all goes well, the seeds will germinate in a couple of days. High temperatures induce dormancy in lettuce. This means that seeds go into sleep and will not germinate. Place the tray in a shaded place. Right amount of moisture in the media. You can also germinate them using seed starting plugs with excellent results. 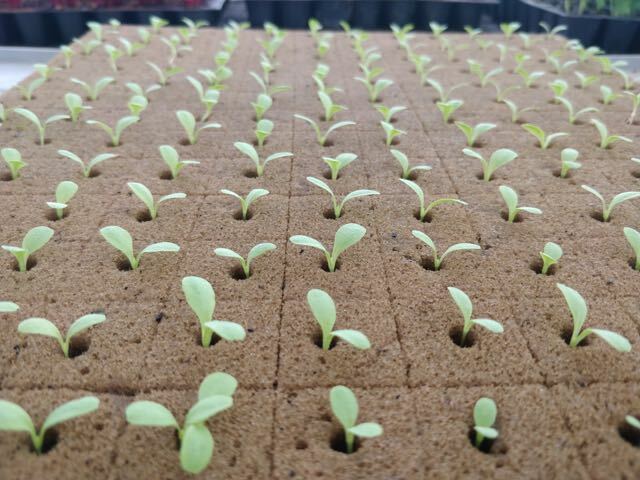 If you have sown the seeds in a plug or a foam cube, then transplanting is a piece of cake. 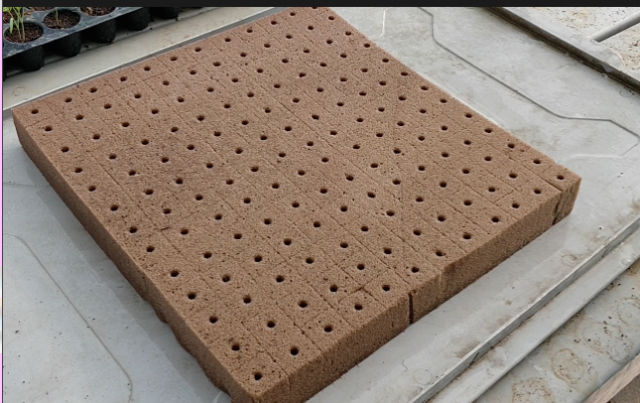 All you need to do is to gently pull the foam cube apart from its joint and place it in a pot or in a netpot to be planted where it will grow to its full size. 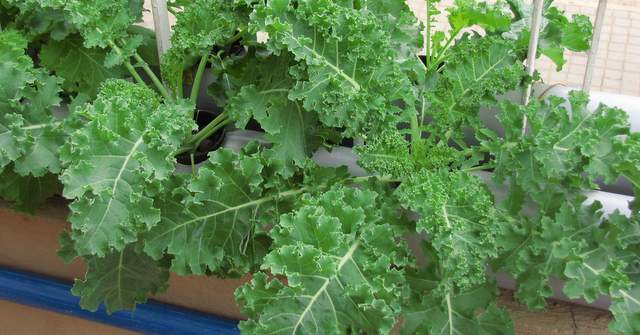 I grew the plants in an NFT System using hydroponic nutrients. Your system might be different. Whatever be the system you are using, transplanting is very simple. If you are planting in soil or cocopeat, ensure the container has good drainage and potting medium is of good quality. Preferable time to transplant is evening so that they have a longer time before the next sun. 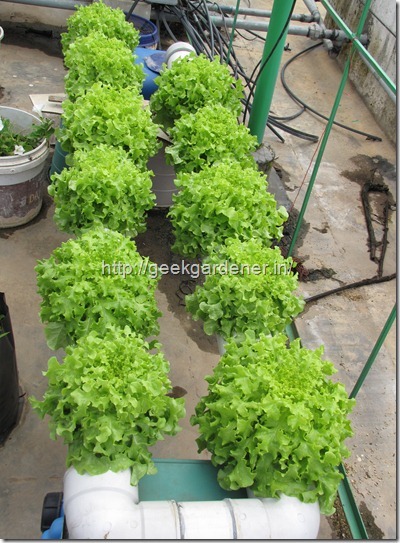 Once transplanted, lettuce is generally maintenance free. It is a short term crop and much easier to handle. In a couple of days after transplanting, the plants will really start to pickup. 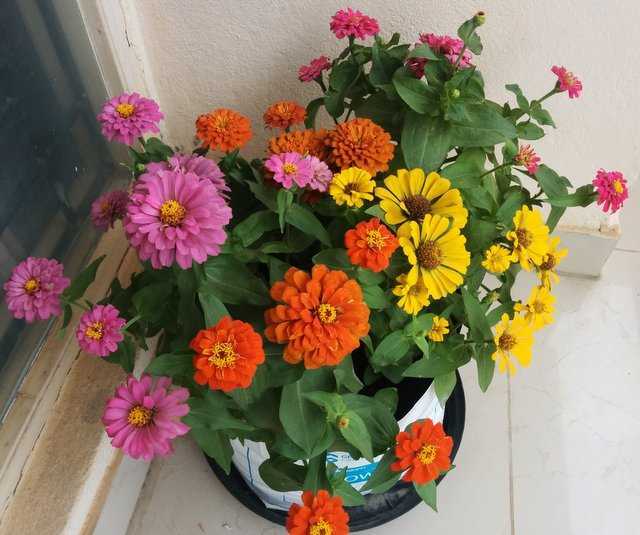 All you need to do now is to ensure they are watered well. My growing system was NFT system yours might vary. What ever your system is the growing times shouldn’t change much. 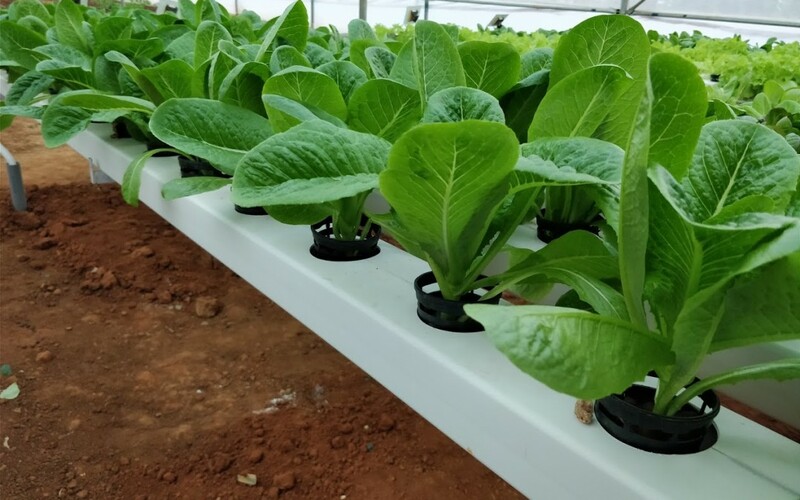 Romaine lettuce takes about 20-25 days from the day of planting to come for harvest. You can use a general purpose fertilizer for feeding your romaine lettuce plants. If you are growing organically, a good compost tea is totally fine. A good potting mix will make lettuces grow very well. 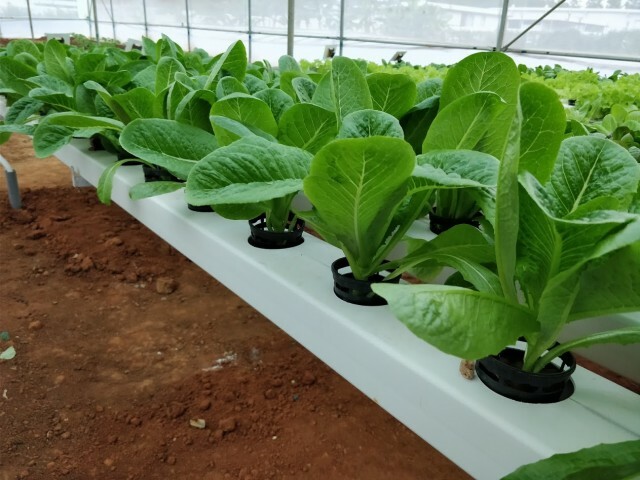 If you are growing hydroponically, then there are multiple options to choose from. 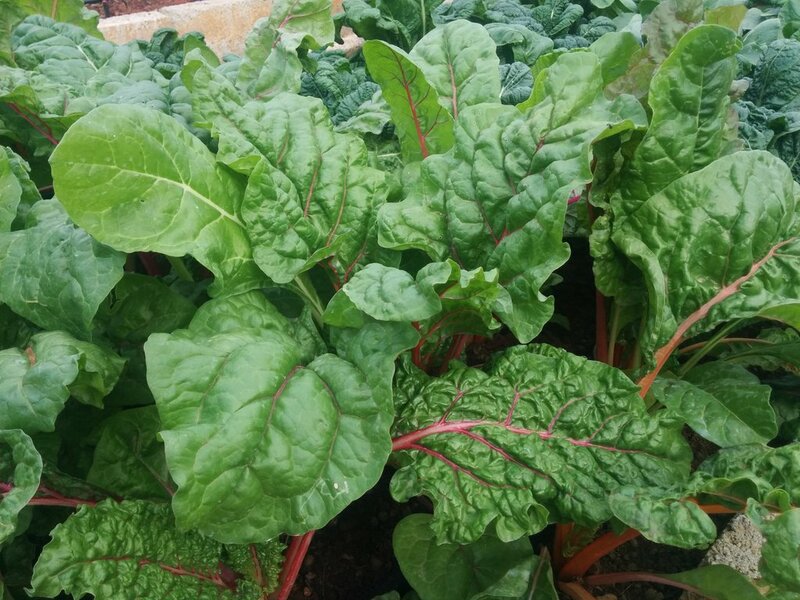 You can either make your own nutrients or purchase proven ready made nutrients specifically for leafy greens. That doesn’t mean you need to wait for 25 days. Romaine lettuce leaves are edible any day. So if you aren’t selling them commercially, you can harvest them any time for your own consumption. Remember, tender the leaves, better they taste. There are two ways to harvest lettuce i.e pick the whole head or just pluck the leaves. Picking the whole head is quicker and is mostly preferred when you are into commercial production. This way you spend less time on labor. Plucking individual leaves is good when it is for own consumption and there aren’t too many plants. You can keep picking the leaves for a few times. As the plant continues to grow, it will start to flower and before that happens, you will see a talk stalk growing in the center of the plant. That is the flower stalk and when a lettuce goes into flowering, it is called as Bolting. The leaves of the lettuce get bitter as they mature and grow. So remember to harvest early and enjoy your salad!